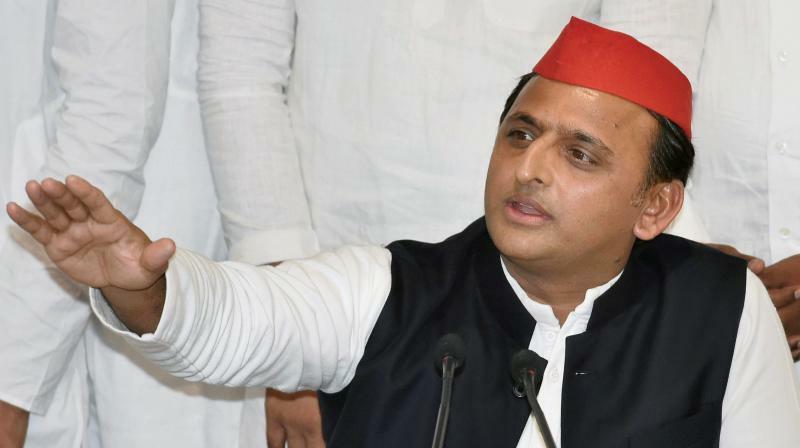 The choice of Kannauj is significant since Akhilesh Yadav plans to contest the 2019 Lok Sabha elections form Kannauj. Lucknow: The Samajwadi Party will launch its election campaign from September 16. Party president Akhilesh Yadav will lead a bicycle rally for a stretch of 50 kilometres from Kannauj. According to party spokesman Rajendra Chaudhary, Mr Yadav will cycle from Thatiyamandi in Kannauj to the airstrip on the Lucknow–Agra Expressway. The choice of Kannauj is significant since Mr Akhilesh Yadav plans to contest the 2019 Lok Sabha elections form Kannauj. His wife and sitting MP from Kannauj, Dimple Yadav, is opting out of electoral politics. Mr Chaudhary said that the bicycle rally would be known as ‘Vijay Yatra’ with a slogan that says, “Haq aur samman sabke liye”. The rally will be flagged off by Khazanchi, a two-year-old boy who was born while his mother was standing in a bank queue after demonetisation. Mr Akhilesh Yadav, then chief minister, had named the newborn and had even given him a cash reward. Mr Akhilesh Yadav is launching his party’s election campaign without waiting for other parties to take a decision on an alliance. “We are launching the campaign because we want to mobilise our cadres. Alliances will take place at the appropriate time but we will keep our cadres and voters ready for that,” said a party leader.